Are you in pursuit of a more suburban lifestyle with bigger homes, larger yards, golf, and some of the best schools in Dallas County? If this is you then Far North Dallas may be your perfect place. 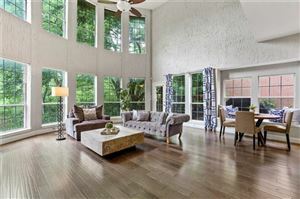 Here you will be in close proximity to the social scene of Addison and the future Midtown, the diverse cuisines of Richardson, a short commute to both DFW and Love Field airports, as well as downtown Dallas and Plano. You will also find beautiful and established subdivisions like Northwood Hills, Prestonwood, Bent Tree, and Highlands North. Updated Apr 19, 2019 12:42:pm. Based on information from the North Texas Real Estate Information Systems, Inc. This information is provided for consumers' personal, non-commercial use and may not be used for any purpose other than to identify prospective properties consumers may be interested in purchasing.